Residential - GES - Geotechnical & Environmental Services, Inc.
GES Environmental Consulting- Your Trusted Environmental Partner. A Clean Property Keeps Your Family Healthy. Maintaining your property’s environment keeps you and your family safe, allowing you to take advantage of the outdoor lifestyle of Virginia. Our environmental team evaluates the soil and water sources for any existing or potential contaminants. Should our research and sampling determine there is contamination, we provide a detailed plan of action and partner with you through each step to resolution. GES Is A Local Leader In Storage Tank Services. 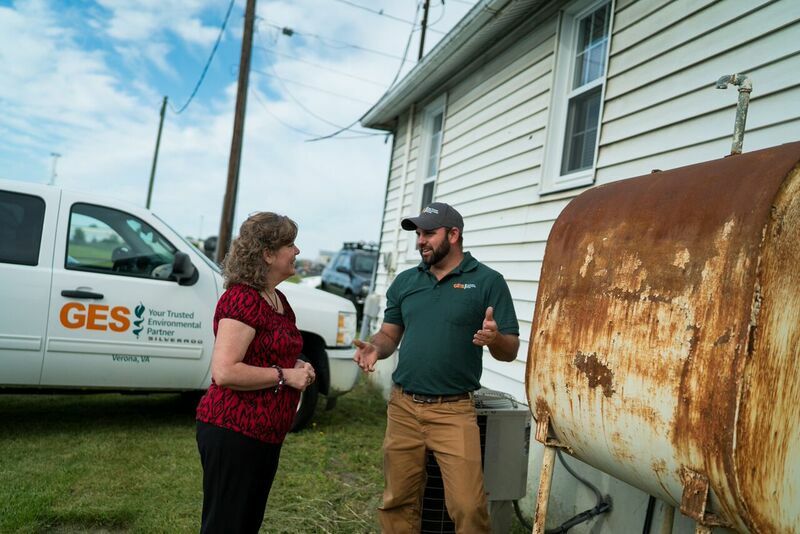 GES is proud to be considered one of the leading providers of above ground and underground tank evaluation, removal, and in-ground closures in Virginia. Our trained and experienced team provides services to determine if your tank is leaking or faulty so when you next need assistance or a professional opinion, contact the tank specialists at GES. GES Is Committed To Improving Our Community. At GES, we are deeply involved in giving back to our community and beyond. Our founder, Bill Barker, dreamed of providing fresh water sources to disadvantaged communities all over the world. Before his death in 2000, GES had provided the funds to drill wells in Burma, Cambodia, and beyond. When you choose GES, you’re choosing a team of professionals committed to improving the quality of life for millions of people all over the world. When you require soil testing and/or water testing, let GES be your trusted environmental partner. Are You Ready To Schedule Soil Testing For Your Property?